Home : Prairie Blog : Middle School : Readak Coming to Prairie — Register Today! 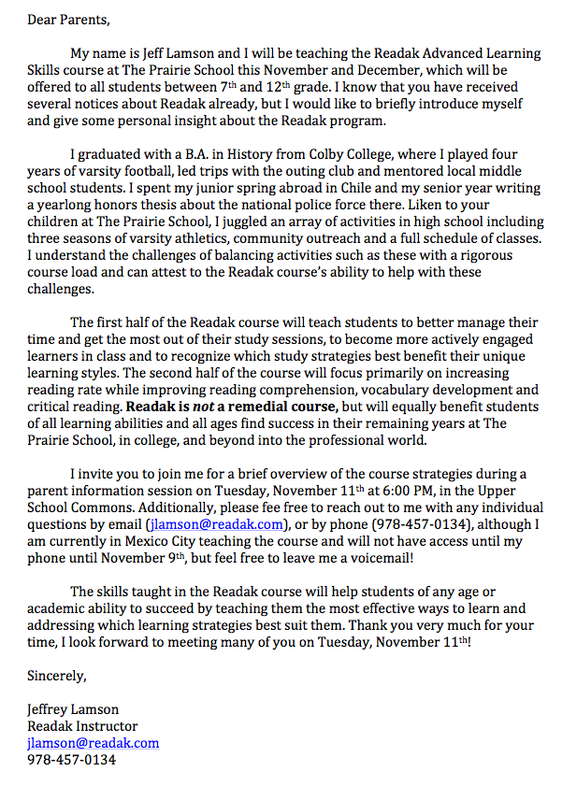 Readak Coming to Prairie — Register Today! Last Chance to Register! Paper registration is still open. Beginning Monday, November 10, registration must be completed by downloading, printing and completing Readak’s paper form. The Readak program provides a great opportunity for students in grades 7 – 12 to improve the way they work on their academics both in class and at home. In addition to improving time management and organization, the Readak course fosters increased reading rate and comprehension. These skills are extremely helpful as students prepare to tackle a challenging academic schedule both here at Prairie, and in future enrollment at universities. 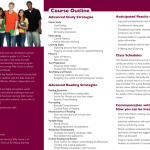 The attached informational PDF includes specific information regarding the course outline and the goals of the program. Strategies covered include specific note-taking methods to encourage material retention, as well as tactics to encourage more academic productivity. 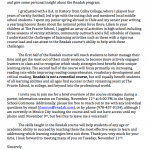 On Tuesday, November 11, at 6:00 p.m. in the US Commons, the Readak teacher will be available for an orientation meeting to provide an overview of the program and to answer any questions you may have regarding the course. overview. The information he will share on study and reading strategies is important in itself, so please try to attend. Mr. Lamson holds his bachelor’s degree in history from Colby College in Maine. He has recently coordinated successful Readak programs at American School Foundation in Mexico, and Maine Central Institute in Maine. Option 2: 6-hour course on just Study Strategies for $300. Both course options include a mid-course parent seminar on the curriculum and its reinforcement at home. Additionally, students will have access to the Readak classroom blog both during the course and throughout the year to access extra resources that encourage effective and efficient learning. C. Tuesdays & Thursdays: 4:00-6:00 p.m.
Payment: All payments are managed directly through the Readak program and not The Prairie School. Please direct questions to Debby Goyette, Compass Team Learning Specialist (262.752.2659 / [email protected]). This entry was posted in Middle School, Upper School by Communications Department. Bookmark the permalink.